InterTwinkles Blog: Tool Spotlight: Resolve! This is the first in a series of blog posts highlighting each of InterTwinkles' tools. 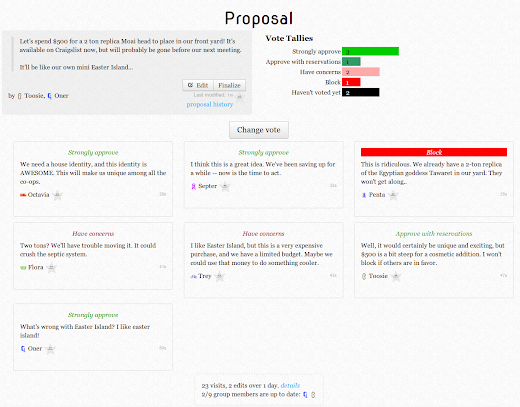 Resolve is a tool for making, approving, and rejecting proposals. Your group has already discussed an issue, researched options, and developed some ideas. Now it's time to see if there is a proposal that everyone can live with. What can you do with resolve? Float a proposal or two out there. 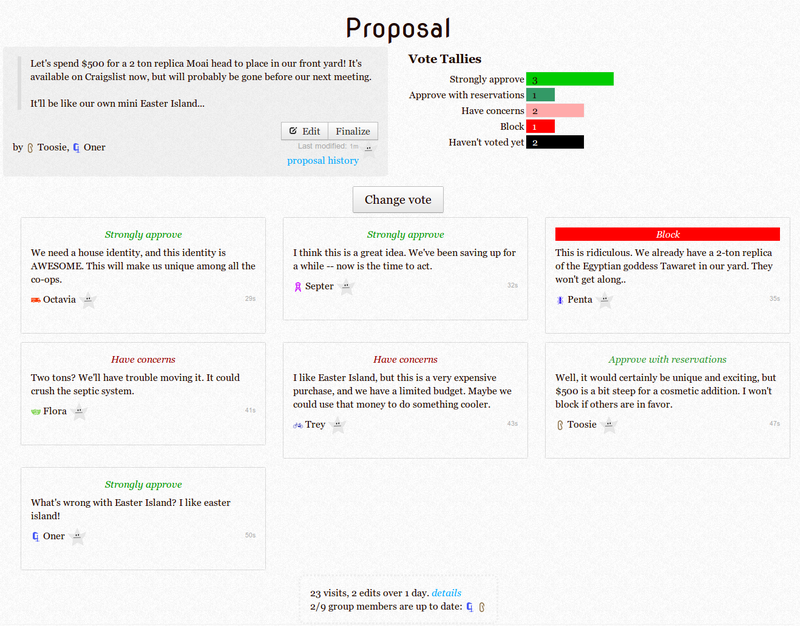 Invite others to post proposals, comment on yours, and vote on them. Group members can participate when it's most convenient for them, and members who aren't online can ask other group members to post on their behalf. Express your opinion about proposals (including your level of approval, blocking, and abstentions). Using resolve, you can find which ideas have the most support, and understand the concerns of other members of your group, moving together to something that meets everyone's needs. Throughout, you'll probably continue to use mailing lists or in person conversations like you already have – only now, you'll have a shared space to summarize the result of your discussion, and most importantly, know when you're done. Don't use resolve if your group hasn't already built relationships with each other and developed a level of trust. Resolve is for finalizing a proposal, not for brainstorming or discussion. If you find it hard to succinctly state the proposal in a way that lets everyone respond with a simple "approve" or "disapprove", you're probably not ready – you might do a brainstorm with dotstorm, or do some heavy text editing with twinklepad. 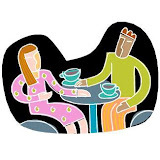 For general discussion or early-stage ideas, use a mailing list, phone conference, or in-person discussion. First, a group member creates a proposal, and then invites others to respond. Members respond with a vote (e.g. "Approve", "Approve with reservations", "Block", etc. ), as well as a short statement for why they are voting that way. When everyone has participated, any member can mark the proposal as "passed" or "failed". Proposals can be reopened if someone disagrees with the outcome. Every proposal has a log of activity, so you can quickly see who has been participating, and who hasn't. Here's an example proposal: Should we buy a 2-ton replica Moai head for our front yard? EDIT July 5, 2013: We just posted our introductory video to Resolve. (c) 2013 InterTwinkles. Powered by Blogger.